Save up to 50% with this coupon. Here you'll find over 100 discounted products for children. Refresh the looks of your bear with the special range of bear clothes with great prices - get a completely new toy for cheap! Collection of the best deals from Build-A-Bear available here - shop and enjoy the discounts! Build-A-Bear has the best offers for gifts for kids - make them happy without spending a fortune! Shop today! Great range from Build-A-Bear for Pokemon fans out there - catch em all! Check for the great games for children. Let them enjoy and you will enjoy saving money. Click this coupon and try the 'Play' button on the right side. Build A Party With Build-a-Bear! When it’s time for a party, it’s time for Build-A-Party! A cele-bear-ation for any occasion! Packages fit any budget Party Leaders guide the fun Pick-Your-Own fun themes Earn points as a Build-A-Bear Bonus Club Member Party-planning made simple - with zero clean-up! Each Guest makes and takes home their own furry friend - the best party favor ever! Star Wars fanatics must have one of the unique teddy bears that are one with the force! Shop now while the stock lasts! No matter what your age, cuddly toys are a firm toy box favourite so it’s no surprise that we love building our very own unique version at Build-A-Bear. This innovative and creative idea came about 20 years ago when following an unsuccessful shopping trip to find the perfect cuddly toy Maxine Clark had the idea of making a shop that doubled as a factory where people could make their own bears exactly as they wanted them. And so, Build-A-Bear was born with the first store opening in St. Louis, Missouri in 1997. Today there are over 400 stores worldwide where you can choose from a selection of super cute bears, bunnies, cats, dogs and umpteen more soft toys, and thanks to the deals here at Groupon, you'll get to choose the cuddly toy of your dreams at the best price. What Build-A-Bear discount codes does Groupon have? •	Save on the My Little Pony Collection – save money now! What should I be looking out for at Build-A-Bear? Build-A-Bear's range of teddies offers a massive selection of colours to choose from including traditional creams and browns through to brighter rainbow shades. It's not just bears that they sell either. You can choose a floppy-eared bunny, a cute kitty cat, a delightful dog or one of Build-A-Bear's wild furry friends like pandas, monkeys, horses and dolphins. Build-A-Bear also offer miniature cuddly toys in their Buddies and Minis range. These tiny versions of their big cousins are just as cute and cuddly, but can fit in your pocket so they can go with you anywhere. Once you've chosen your dream teddy, the next thing you can do is select an outfit from Build-A-Bear's extensive selection of clothes. No matter what outfit you choose, each one is tailored to fit your teddy perfectly, and whether you want to put your furry friend in a pink tutu, pyjamas, a dress or a football kit, Build-A-Bear's range of clothing will let you dress it how you want. It's not just clothes that you can get for your teddy either since there is a wide range of costumes including policemen, Disney favourites like Beauty and The Beast, Star Trek uniforms, costumes for special occasions like Halloween and a lot, lot more. Build-a-Bear's character teddies are just as cuddly and cute as their animals but look like your favourite characters from film and TV. Whatever your kids (and grown-up kids) are into, you'll be able to find the right teddy. If they love Star Wars get them a Princess Leia, Darth Vader or Kylo Ren teddy, or if Disney's their thing why not get them a Belle from Beauty and The Beast or Anna from Frozen? There are some characters that are online exclusives, so check them out to discover Yoda from Star Wars, Groot from Guardians of The Galaxy and Pikachu from Pokemon. 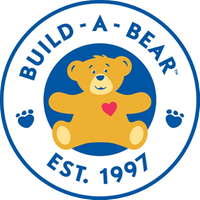 On Build-A-Bear's website you can also book parties for your nearest store, where you can treat your guest of honour and their friends to the excitement of making their own teddy. Not only do the guests get to make their own teddy, they get one of Build-A-Bear's staff as a party leader, leading them through party games and other fun filled activities. The guest of honour will also get a special heart ceremony and receive a light up cupcake keepsake. So, what are you waiting for, book your party online today! What Build-A-Bear voucher codes are popular at Groupon right now? How do I use my Build-A-Bear voucher code? At Groupon, we try to make it as easy as possible for you to make use of our voucher codes because we want you to save money! All you have to do is find the money off voucher you'd like to make use of and click on it. When you've done that and the deal has loaded simply click on the “shop now” button. You'll then be taken straight to Build-A-Bear's website where your deal will be automatically loaded and ready to use leaving you free to browse and shop. We get new voucher codes from Build-A-Bear almost every day, and you will find that most of these have expiration dates. If you look at the bottom left hand side of our coupons you'll be able to see the expiry date, and once they've expired they join the list of expired deals at the bottom of the page. It might be worth giving the expired codes a go though, because on occasion Build-A-Bear will extend their deals longer than advertised. This isn't always the case however, so if you want to use a deal that looks perfect for you then the best advice we can give is to make use of it straight away because it might not be valid the next time you check back. We've got a huge selection of deals on toys at Groupon. If you're looking for other great deals and discount codes on cuddly toys then check out the Toyday, Hamley's and Pillow Pets voucher pages too.